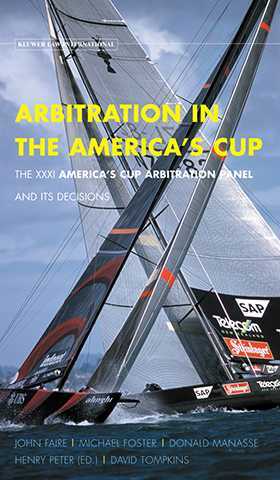 Following experiences made during the previous edition of the America's Cup, an Arbitration Panel was set up in order to resolve the disputes arising with respect to the 3 1 st (2000-2003) America's Cup. It was composed of five arbitrators, all high standing lawyers with vast experience in arbitration and sport. The Arbitration Panel issued 22 decisions on many subjects, ranging from deciding whether or not Societe Nautique de Geneve (Alinghi) could take part to the America's Cup, to whether or not the Seattle Yacht Club (One World Challenge) had breached rules prohibiting the transfer of technology from a syndicate to another. This book contains all the decisions rendered as well as the background and supporting material. It begins with an introductory text which enables a better understanding of the reasons why the Arbitration Panel was set up, of the way it has worked and of the main issues it has dealt with. The work will be of interest to any person involved in arbitration in general and in sport in particular. It will also provide an insight into the history of the America's Cup which, from the outcome in 1851, has been characterised by controversies and disputes.